For many homeowners, pets are part of the family. And just like other members of the family, pets can sometimes cause problems around the house. A stain here, damaged wooden floors there: It can add up over time. Before selling a home, a homeowner will want to rectify these problems just like any others. Oh My, What’s That Smell! Sometimes you can tell pets live in a house the moment you open the door. This is not something you want to happen to potential buyers coming to take a look. There is no simple fix for pet odors. Sprays, plug-ins and scented candles might cover the smell, but may also set off alarm bells as people wonder what you’re trying to hide with all that perfume. The secret to solving this problem is thorough and complete cleaning of all problem areas. That means deep cleaning carpets, furniture, and floors and walls. The smell of cat urine is perhaps the worst offender, and it the hardest to remove successfully. The process can be involved, but here are guides from wikihow.com and petfinder.com that will help immensely. Keep pet’s nails trimmed so they won’t wear away the finish of a hardwood floor. Give your cat something to scratch so they’ll leave window screens alone. Don’t train your dog to scratch at the door when it wants to go outside. Unless the door is protected, it’s going to suffer over time. 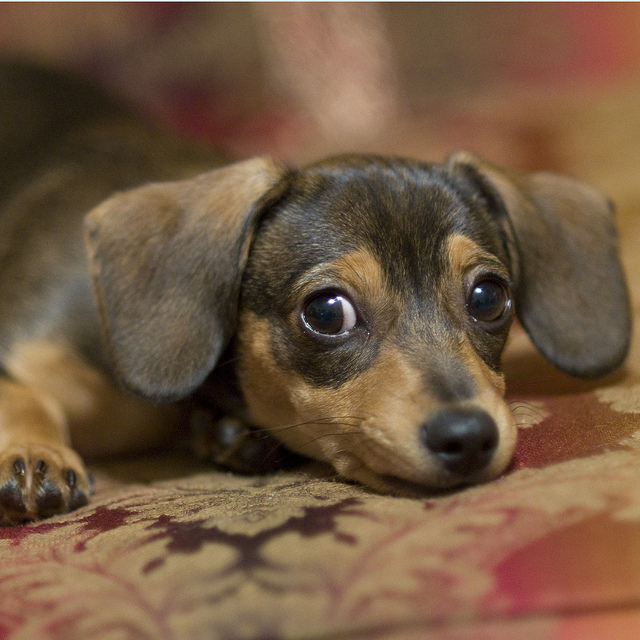 A bitter smelling spray from the pet store will help discourage teething puppies from chewing the edge of a door. Double-wide sticky tape will keep cats from scratching that area. Make sure to clean up urine and water spills quickly. Water can seep through the floor, and cause damage all the way down. You’ll have to do it when you sell your house, so go ahead and vacuum up all of that pet hair hiding behind the refrigerator. A final tip: Your homeowners insurance policy will only cover damage caused by pets if that animal is covered by the policy. You’ll need to talk to your insurance agent if you think you need to expand your coverage. And when it comes time to sell your home, I’m here to help you. Get in touch with me and let me help you determine the value of your home.